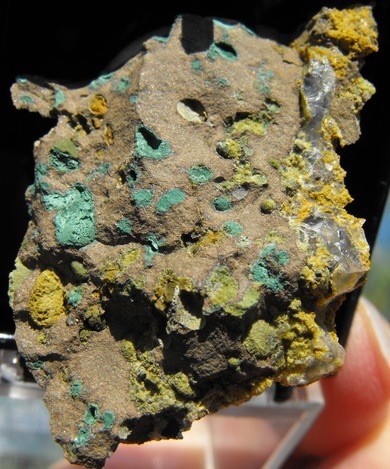 Celadonite: Mineral information, data and localities. Named after the French "céladon" for "sea-green", its common colour. The Mg analogue of ferroceladonite. Calcite 79 photos of Celadonite associated with Calcite on mindat.org. Heulandite subgroup 64 photos of Celadonite associated with Heulandite subgroup on mindat.org. Heulandite-Ca 49 photos of Celadonite associated with Heulandite-Ca on mindat.org. Quartz 33 photos of Celadonite associated with Quartz on mindat.org. Stilbite-Ca 29 photos of Celadonite associated with Stilbite-Ca on mindat.org. Hematite 28 photos of Celadonite associated with Hematite on mindat.org. Fluorapophyllite-(K) 28 photos of Celadonite associated with Fluorapophyllite-(K) on mindat.org. Chalcedony 26 photos of Celadonite associated with Chalcedony on mindat.org. Stilbite subgroup 24 photos of Celadonite associated with Stilbite subgroup on mindat.org. Amethyst 17 photos of Celadonite associated with Amethyst on mindat.org. Wise, W.S., Eugster, H.P. (1964) Celadonite: synthesis, thermal stability and occurrence. American Mineralogist: 49: 1031-1083. Foster, M.D. (1969) Studies of Celadonite and glauconite. USGS PP 614-F, 17 pp. Dainyak, L.G., Bookin, A.S., Drits, V.A., Tsipursky, S.I. (1981) Mössbauer and electron diffraction study of cation distribution in celadonite. Acta Crystallographica: A-37 (supplement), C-362. Slonimskaya, M.V., Besson, G., Daynyak, L.G., Tchoubar, C., Drits, V.A. (1986) The interpretation of the IR spectra of celadonites and glauconites in the region of OH-stretching frequencies. Clay Minerals: 21: 377-388. Dainyak, L.G., Drits, V.A. (1987) Interpretation of Mössbauer spectra of nontronite, celadonite, and glauconite. Clays and Clay Minerals: 35: 363-372. Odin, G.S., Despairies, A., Fullagar, P.D., Bellon, H., Decarreau, A., Fröhlich, F., Zelveder, M. (1988) Nature and geological significance of celadonite. In G.S. Odin, Editor, Green Marine Clays: 45: 337-398. Developments in Sedimentology, Elsevier Science, Amsterdam. Drits, V.A., Dainyak, L.G., Muller, F., Besson, G., Manceau, A. (1997) Isomorphous cation distribution in celadonites, glauconites and Fe-illites determined by infrared, Mössbauer and EXAFS spectroscopy. Clay Minerals: 32: 153-180. The following Celadonite specimens are currently listed for sale on minfind.com. M. R. Portugal V. Ferreira, Heulandite do Cabo Ledo, Angola, Memórias e Notícias No. 64, Publicaçõs do Museu e Laboratório Mineralógico e Geológico da Universidade de Coimbra e do Centro de Estudos Geológicos, 1967. Brodtkorb, A. (1999). Yacimientos de amatistas y ágatas ornamentales de Misiones. En: Recursos Minerales de la República Argentina (Ed. E.O. Zappettini), Instituto de Geología y Recursos Minerales SEGEMAR, Anales 35: 937-939. Aliotta, G., Garrido, M., Gómez, C y Luna, L. 1996. Estudio de zeolitas de la zona de “Madre e Hija” (Santa Cruz). 3ª Reunión de Mineralogía y Metalogenia. Instituto de Recursos Minerales, UNLP. Publicación 5: 9-16. Djurova, E., Stefanova, I., & Gradev, G. (1989). Geological, mineralogical and ion exchange characteristics of zeolite rocks from Bulgaria. Journal of radioanalytical and nuclear chemistry, 130(2), 425-432.; Georgiev, V., Kolkovski, B., Metodiev, N., & Milovanov, P. (2002). Metallogeny of the Zlatoustovo volcanotectonic depression (Estern Rhodopes). Аnn. Univ. Min. and Geol, 45(1), 51-56.
on an "erionite"/heulandite spec. from V. King. Klomínský, J., Jiránek, J., Malec, J., Novák, J., Odehnal, L., Veselovský, F.: Zlatonosnost kontinentálního permokarbonu Českého masívu. Sborník geologických věd, řada ložisková geologie, mineralogie, 1983, sv. 25, s. 111-186. Moravec, B.: Zajímavé nerosty z granátových náplavů v Podkrkonoší. Minerál, 2002, roč. 10 č. 4, s. 262-268. Černý P.: Příspěvek k mineralogii některých západomoravských pegmatitů. Časopis pro mineralogii a geologii, 1967, 12, 4, 461-464.; Dosbaba, M., & Novák, M. (2012). Quartz replacement by “kerolite” in graphic quartz–feldspar intergrowths from the Věžná I pegmatite, Czech Republic: a complex desilication process related to episyenitization. The Canadian Mineralogist, 50(6), 1609-1622.; Cerny, P., Novak, M., Chapman, R., & Masau, M. (2000). Subsolidus behavior of niobian rutile from Vezna, Czech Republic: A model for exsolutions in phases with Fe2+>> Fe3+. Journal of GEOsciences, 45(1-2), 21-35.; Cerny, P., Hawthorne, F. C., Laflamme, J. H. G., & Hinthorne, J. (1979). Stibiobetafite, a new member of the pyrochlore group from Vezna, Czechoslovakia. Canadian Mineralogist, 17, 583-588. MÜLLER, G. (1990): Mineralisationen vom Karrenberg bei Reichweiler (Kreis Kusel).- Der Aufschluss, 41 (H. 5), S. 299-311. Szakáll & Jánosi: Minerals of Hungary, 1995; Varentsov, I.M. (1996): Manganese ores of supergene zone: Geochemistry of formation. Springer (Berlin, Heidelberg, New York), 342 pp. ; Polgári, M., Hein, J. R., Németh, T., Pál-Molnár, E., & Vigh, T. (2013). Celadonite and smectite formation in the Úrkút Mn-carbonate ore deposit (Hungary). Sedimentary Geology, 294, 157-163. Maziar Nazari (2005) The Khur Agate Field, Central Iran. Symposium on Agate and Cryptocrystalline Quartz, September 10-13, 2005, Golden, Colorado. Program and Abstracts, pp 36-52. Exel R. (1987): Guida mineralogica del Trentino e del Sudtirolo. Athesia, Bolzano, 204 pp. De Michele, V. (1974): Guida mineralogica d'Italia. Istituto Geografico De Agostini, Novara, 2 vol., 408 pp. ; Exel, R. (1980): Die Mineralien Tirols. Band 1. Südtirol und Trentino. Athesia Druck, Bolzano-Bozen, 213 pp. ; Exel, R. (1987): Guida mineralogica del Trentino e del Sudtirolo. Casa Editrice Athesia, Bolzano-Bozen, 205 pp. Buckley, H.A., Bevan, J.C., Brown, K.M., Johnson, L.R. 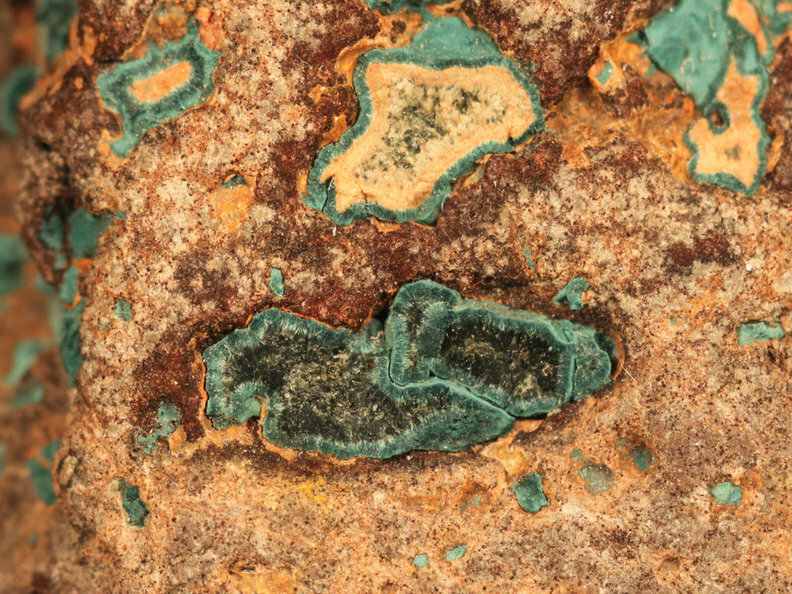 (1978): Glauconite and celadonite: two separate mineral species. Mineralogical Magazine, 42, 373-382. Pedroni G. (1996): Note di mineralogia del Passo Fedaia (gruppo della Marmolada). Riv. Mineral. Ital., 20, 2 (2-1996), 189-192. Buscaroli, C., Fassina, B., Sovilla, S., Tosato, F., Dal Pozzo, C. (2007) Le fasi della silice nella trachite del Monte Cero (Colli Euganei, Padova). Rivista Mineralogica Italiana, 31, 1, 52-53; Fabris, L., Guastoni, A. (2014) Provincia di Padova. In: Zorzi, F., Boscardin, M., (eds. ), Minerali del Veneto. Alla scoperta dei tesori della nostra regione. Museo di Storia Naturale e Archeologia di Montebelluna - Treviso, Cierre Edizioni, Sommacampagna, pages 121-141. Zorzi F., Boscardin M. - "Minerali del Veneto"
Billows, E. (1904) Su d'una roccia di filone di Torreglia (Euganei) con geodi di calcite e quarzo ametista e rutilifero. Rivista di Mineralogia e Cristallografia Italiana, 30, 84-97. De Michele, V. (1970) Località mineralogiche consigliate - Zavon nei Colli Euganei (Padova). Notizie del Gruppo Mineralogico Lombardo, 8, 7-9; Del Caldo, A., Moro, C., Gramaccioli, C.M., Boscardin, M. (1973) Guida ai minerali. Fratelli Fabbri Editori, Milano, 208 pp. ; De Michele, V. (1974) Guida mineralogica d'Italia. Istituto Geografico De Agostini, Novara, 2 vol., 408 pp. ; Fabris, L., Guastoni, A. (2014) Provincia di Padova. In: Zorzi, F., Boscardin, M., (eds. 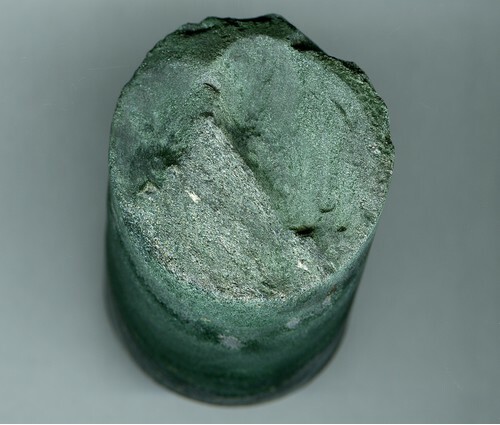 ), Minerali del Veneto. Alla scoperta dei tesori della nostra regione. Museo di Storia Naturale e Archeologia di Montebelluna - Treviso, Cierre Edizioni, Sommacampagna, pages 121-141. - M. Mattioli, M. Cenni, G. Raffaelli (2008): I Minerali del Veronese - Le mineralizzazioni secondarie delle rocce vulcaniche dei Monti Lessini. Memorie del Museo Civico di Storia Naturale di Verona, II° serie - sezione Scienze della Terra 7 - 2008, 196. Matsubara, S. (2003) Minerals in Japan (Field Best Encyclopedia, vol. 15, 253. Matsubara, S. (2003) Minerals in Japan (Field Best Encyclopedia, vol. 15, 252. Loucks, R. R., Lemish, J., & Damon, P. E. (1988). Polymetallic epithermal fissure vein mineralization, Topia, Durango, Mexico; Part I, District geology, geochronology, hydrothermal alteration, and vein mineralogy. Economic Geology, 83(8), 1499-1527. Hutton, C.O. (1942) The igneous rocks of the Brocken Range-Ngahape area eastern Wellington, Transactions and Proceedings of the Royal Society of New Zealand, 01 January 1942. Railton, G.L¹., Watters, W.A. (1990) Minerals of New Zealand. New Zealand Geological Survey Bulletin 104, 89 pages. (¹published as G.L. Railton but his initials should be G.T. not G.L. - Errata sheet inserted in publication). L. O. Kvamsdal (1998): Mineralene fra Nordmarkitt og Grefsensyenitt i Oslofeltet. AS Merkur-Trykk, Oslo(in Norwegian), p. 43.
ⓘ Holmestrand railroad station area ? Brøgger, W. C. (1931): Die Eruptivgesteine des Oslogebietes. V. Der Grosse Hurumvulkan. Skrifter utgitt av Det Norske Videnskaps- Akademi i Oslo, I. Mat.-Naturv. Klasse 1930, nr 6. Haymon, R. M., Koski, R. A., & Abrams, M. J. (1989). Hydrothermal discharge zones beneath massive sulfide deposits mapped in the Oman ophiolite. Geology, 17(6), 531-535. Byington, C.B. and Russell, M.R., 2001, Economic geology and ore controls of the Santa Rosa Mine – An integrated structural analysis approach, Canazas, Veraguas, Republic of Panama: Society of Economic Geologists Special Publication 8, p. 318-329. Bosi, F., Reznitskii, L., Skogby, H., & Hålenius, U. (2014). Vanadio-oxy-chromium-dravite, NaV3 (Cr4Mg2)(Si6O18)(BO3) 3 (OH) 3O, a new mineral species of the tourmaline supergroup. American Mineralogist, 99(5-6), 1155-1162. Borozdin, A. P., Polekhovskii, Y. S., Bushmin, S. A., Glebovitskii, V. A., Belyatskii, B. V., & Savva, E. V. (2014, January). Age of metasomatism and ore formation in the Srednyaya Padma vanadium-precious metals-uranium deposit (Karelia, Baltic Shield). In Doklady Earth Sciences (Vol. 454, No. 1, p. 68). Springer Science & Business Media. Toscano, M., Ruiz de Almodóvar, G., & Sáez, R. (1994). Variación composicional de las sericitas de alteración hidrotermal en sulfuros masivos:" Masa Valverde"(Huelva). Boletín de la Sociedad Española de Mineralogía, (17-1), 161-162. Anthony, J.W., et al (1995), Mineralogy of Arizona, 3rd.ed. : 156; Cooper, J.R. & L.T. Silver (1964), Geology and ore deposits of the Dragoon quadrangle, Cochise Co., AZ, USGS PP 416. Anthony, J.W., et al (1995), Mineralogy of Arizona, 3rd.ed. : 156, 272; Lowell, J.D. (1956), Occurrence of uranium in Seth-La-Kai diatreme, Hopi Buttes, AZ, Amer. Jour. Sci. : 254: 404-412.
ⓘ Middle railway cut ? ⓘ North railway cut ? Anthony, J.W., et al (1995), Mineralogy of Arizona, 3rd. ed. : 156; Bideaux, R.A., et al (1960), Some new occurrences of minerals of AZ, AZ Geol. Soc. Digest: 3: 53-56; Thomssen, R.W. (1983), The minerals of Malpais Hill, Pinal Co., AZ, Min.Rec. : 14: 109-113.
ⓘ South railway cut ? Anthony, J.W., et al (1995), Mineralogy of Arizona, 3rd. ed. : 216; Thomssen, R.W. (1983), The minerals of Malpais Hill, Pinal Co., AZ, Min.Rec. : 14: 109-113. Anthony, J.W., et al (1995), Mineralogy of Arizona, 3rd.ed. : 326; Thomssen, R.W. (1983), The minerals of the Malpais Hills, Pinal Co., AZ, Min.Rec. : 14: 109-113. Anthony, J.W., et al (1995), Mineralogy of Arizona, 3rd.ed. : 156; Bideaux, R.A., et al (1960), Some new occurrences of minerals of Arizona, AZ Geol. Soc. Digest: 3: 53-56; Thomssen, R.W. (1983), The minerals of Malpais Hills, Pinal Co., AZ, Min.Rec. : 14: 109-113. Murdoch, Joseph & Robert W. Webb (1966), Minerals of California, Centennial Volume (1866-1966): California Division Mines & Geology Bulletin 189: 122; Pemberton, H. Earl (1983), Minerals of California; Van Nostrand Reinholt Press: 430. Irelan, William, Jr. (1890a), Ninth annual report of the State Mineralogist: California Mining Bureau. Report 9, 352 pp. : 46; Murdoch, Joseph & Robert W. Webb (1966), Minerals of California, Centennial Volume (1866-1966): California Division Mines & Geology Bulletin 189: 122. DeVito, A. N. (1992), Brookite and stilbite in the Santa Monica Mountains. Bull. Min. Soc. So. Calif.: 62(2) (Feb 1992): 7.